6 July 2016. Day 16. 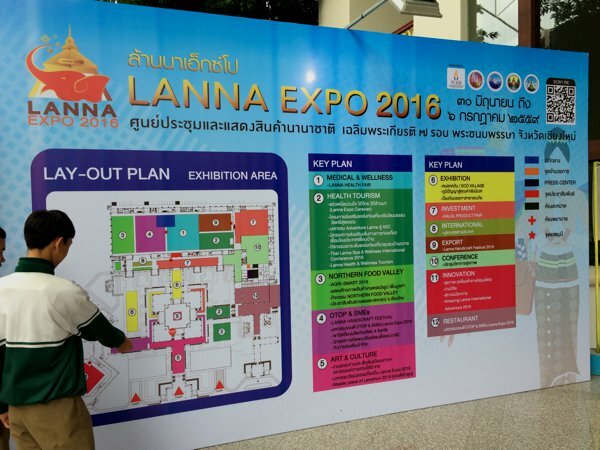 I headed to the Lanna Expo at Chiang Mai Convention Centre in the morning. “Lanna” – or Northern Thai, also translates into “Kingdom of a Million Rice Fields”. It is the northern region of Thailand with somewhat different culture compared to the south. Today was also the last day of the Expo, and I thought I shouldn’t give this a miss. The exhibition was huge! Much larger than I had thought it to be. 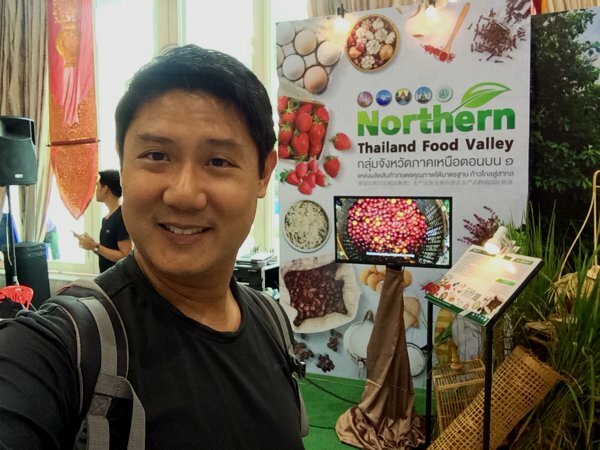 The entire expo was divided into 12 zones, ranging from health tourism, to arts and culture, to northern food valley. Being the foodie that I am, no points for guessing which section I spent the most time in! A section of the Lanna Expo teaching farmers various modern techniques of up-keeping their farmland. Oh! And it’s Hari Raya today! Selemat Hari Raya to all my muslim friends! 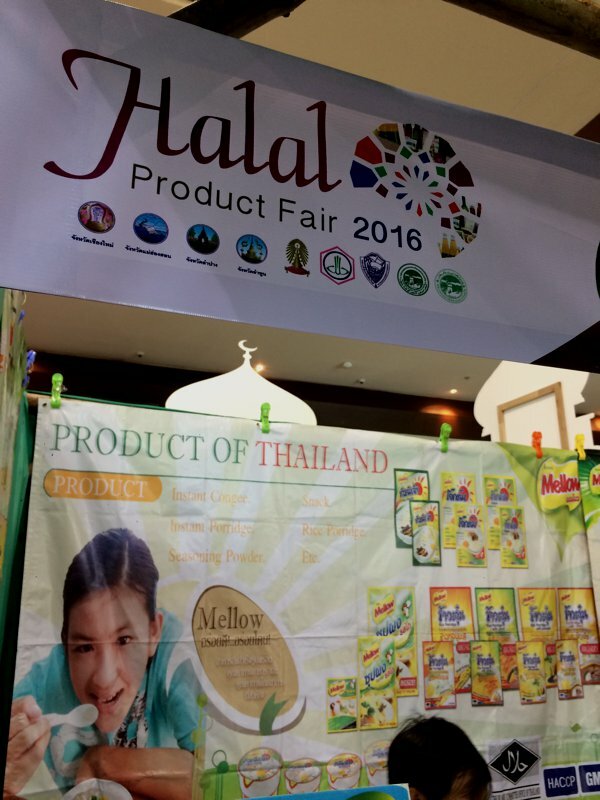 The Halal section of the Lanna Expo was pretty large. I naturally gravitated towards this section. Hee hee. Mobile banking redefined. 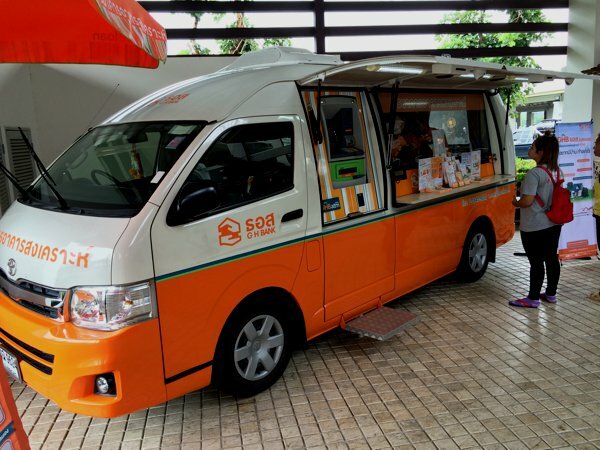 This is literally a bank on wheels – includes a bank teller counter and even an ATM machine! And so I was enjoying the exhibition and was occasionally checking on my phone. Then I saw a Facebook message that popped up. Somebody left a comment on one of my trip postings on Facebook, reminding me that while typical visa-on-arrivals for Singaporeans flying into Thailand are good for 30days, visa’s for overland travel are good for only 15 days. I whipped out my passport to check. My passport visa had expired YESTERDAY. I’m technically an illegally overstaying alien. Oh dear, oh dear. I’m typically very careful with such things. How could I let this one slip? So I called up the Singapore Embassy in Bangkok immediately and sought assistance. And so the kind lady over the phone told me to head to Chiang Mai Immigration – which is near the airport – and get a visa extension. She also informed me that there will be a fine of 500THB a day for overstaying. Ah! I was thankful that this was discovered early. So I headed down to Chiang Mai Immigration near the airport. 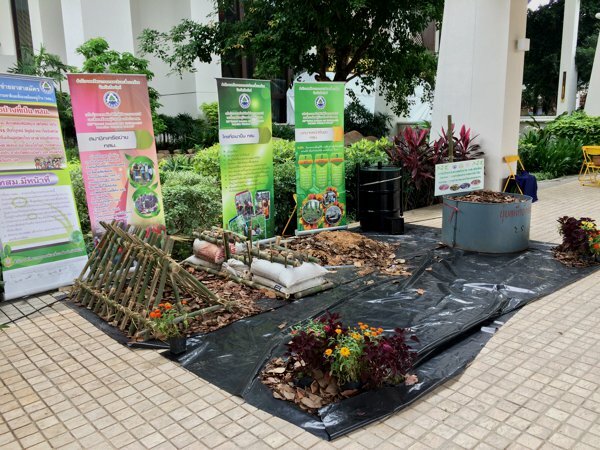 And when I stepped in and enquired, I was told that they don’t deal with tourist visa extensions here, and I’d have to go to their branch office at Promenade Shopping Mall. 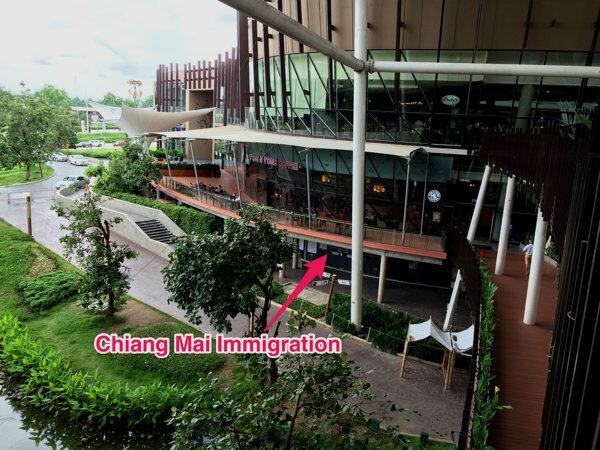 The Chiang Mai Immigration for tourist visa extension is located on the ground floor of Block A. And so I joined the queue, was made to fill up a couple of forms, told to go next door to get my passport photocopied (6THB), and required a photo (200THB). And so I whipped out my iPhone, took a selfie, and printed it on my LG Pocket Printer. Saved 200baht. I was happy. So I went back to the immigration counter and submitted the filled forms together with the self-taken photograph. “2,400baht?? !” My eyes opened wide and my jaw dropped. Well, I didn’t have a choice, do I? So I paid the fee and was told to come back after lunch. I went to the mall’s food court, had lunch, and returned to the immigration office and waited. It wasn’t exactly very crowded, but it seem to me that Thai’s love to take their time. It’s called “processing time.” And so, before long, and before I managed to fall asleep waiting while sitting on the chair, my name was called, they took a photograph of me, more waiting, name called again, and the passport with the extended visa was finally returned to me. Phew! I’m no longer illegal. And the next thing I had to sort out is my bike’s temporary import permit. It will expire 20 Jul, and the bike’s still in the workshop. 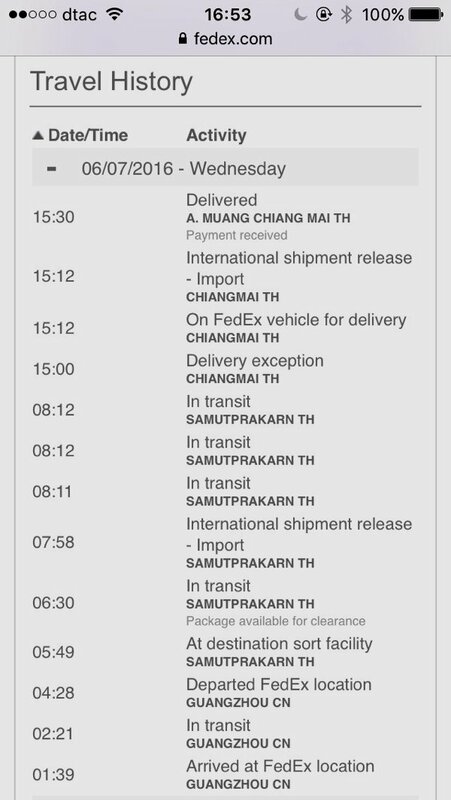 It’ll likely be repaired before it expires, but just to be on the safe side, I’d like to check with the Customs Officers that if I were to take my bike to, say, Laos, and then return to Thailand, would I be issued with a new temporary import permit with extended dates? So after a little scrambling here and there, I found the Customs Office at the Cargo Centre which is just beside Chiang Mai International Airport. Spoke to the officer there and he assured me that I should be able to get a new import permit on my return trip. What a day! And as I heaved a sigh of relieve, I suddenly recalled that the shipment of my motorcycle parts should have arrived anytime now. I whipped out my iPhone and went to FedEx.com. 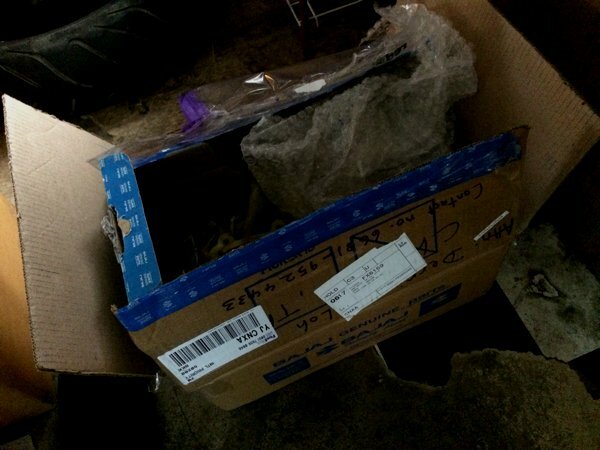 The Bajaj parts have arrived from Singapore! 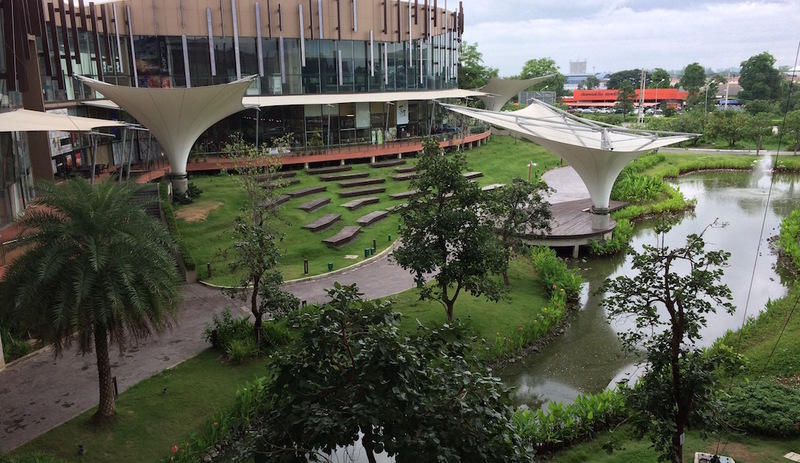 Approximately 20 hours only from Singapore to Chiang Mai! And it even travelled to Guangzhou! Wow! I’m impressed! It was a long day of running around sorting out administrative matters, and I yearned for some comfort food for dinner. I had a sudden craving for pizza, and so I went pizza hunting. 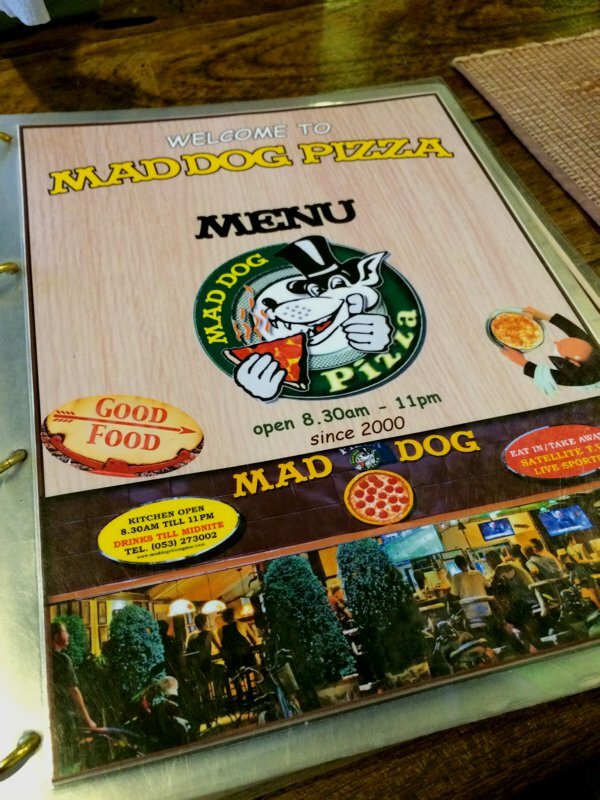 …and I found Mad Dog Pizza! 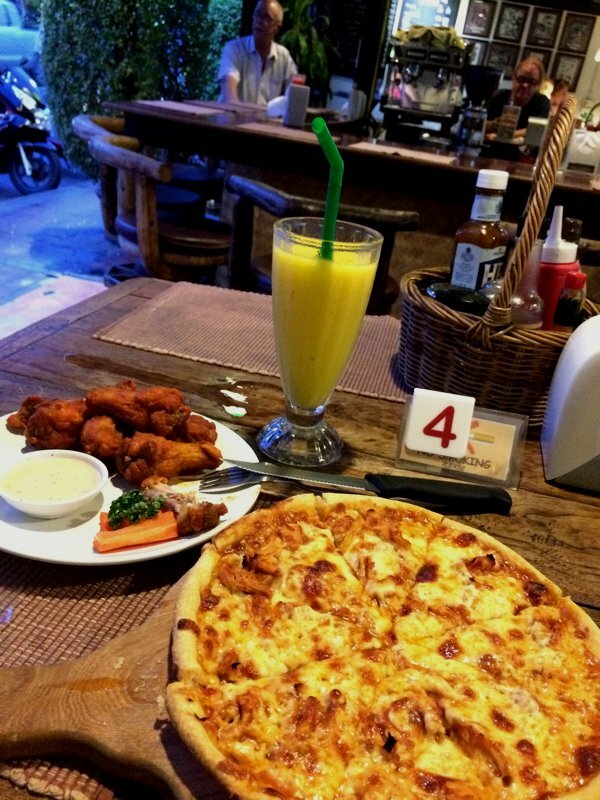 Pizza, some buffalo wings, and a glass of mango smoothie to end the day. Next Next post: The sgBikerBoy 2016 Trip – Day 17. Chiang Rai. ← The sgBikerBoy 2016 Trip – Day 14 and 15 ← The sgBikerBoy 2016 Trip – Day 17. Chiang Rai.